Discussion in 'Pin Comparison' started by NDBounce, Jun 19, 2017. 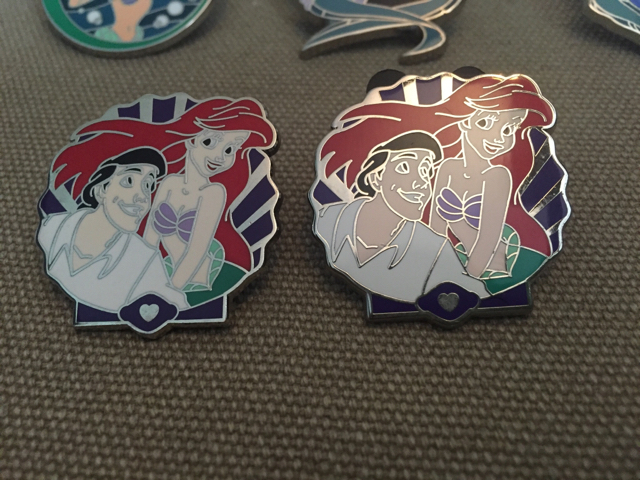 I have two of these pins I picked up in trading at the park. Both look authentic to me, and both have the laser engraved numbers. Here's the rub. 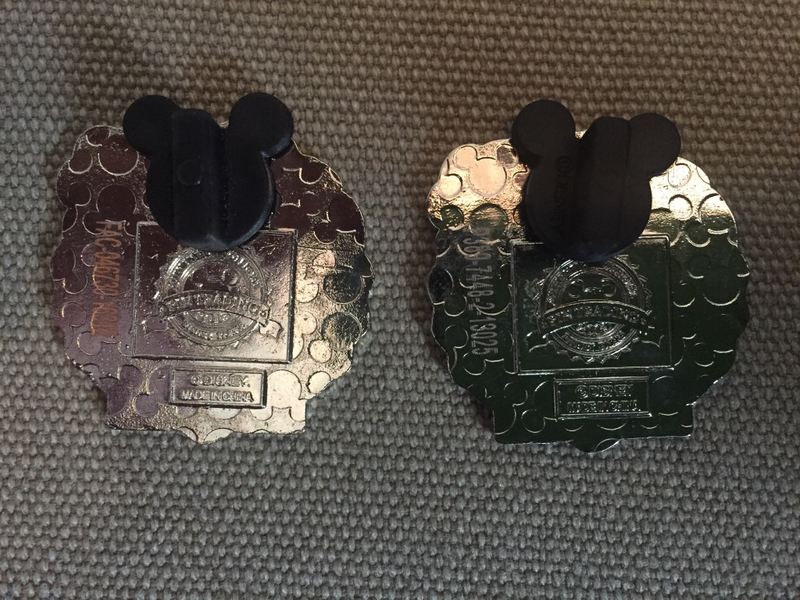 Each has a different letter/number combination engraved on it. 2) Advise me if there are known scrappers/fakes or if there is another explanation for the different laser etched numbers? The backs have different engraved numbers. I'll take a look at mine when I get home. I can't read it, but it looks like different years on the pins. Maybe different runs have different numbers. I just checked, both say 2013 on the year (sorry for the unclear photo...I'm definitely not a professional photographer by any stretch of the imagination).